Why Dr. Susan's Natural Bath Soap? 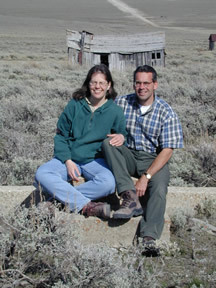 When Dr. Susan and Mark found themselves itching after using commercial soaps, they began a quest for a better soap. 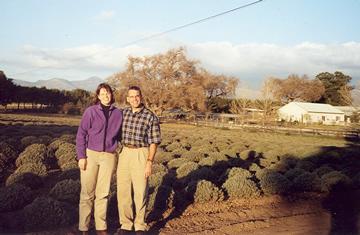 Mark had grown up with gentle, natural soaps made by his mom, so Mark and Dr. Susan began to experiment with Mom's natural soap recipe. Dr. Susan's Natural Bath Soaps were, of course, the result. Soaps that please the skin and nose--and also the heart and mind. Dr. Susan's soaps include only vegetable-based ingredients found in nature; no synthetic colorants, fragrances, or preservatives. Indulge in our soaps, knowing that they're good for you and good for the earth. Dr. Susan is not a soap doctor. Soap, after all, tends to be pretty healthy. She enjoyed earning a doctorate in animal behavior (water strider behavior, more specifically) because it allowed her to satisfy her curiosity about how the world works. Soap-making continues to satisfy that curiosity. The Dr. Susan's team learns about soap chemistry, experiments with essential oils and colorants, and travels to soapy places. Since much of the fun of soap-making is experimentation, we hope that you will try our new concoctions as they arrive! The Dr. Susan's team thanks you for your business and reminds you to come clean...naturally! Send bacteria down the drain. Wash with Dr. Susan's!